It was 1866 when an English Physician named John Langdon Down first described the similarities of the condition that came to be known as Down syndrome (Down, named after him.) This happened before we had any insight into the genetic makeup of individuals, so it was not known that the presence of an extra 21st chromosome caused Down syndrome. At the time, an individual would be diagnosed by noticing certain characteristic physical features. Let’s take a closer look at what some of these physical characteristics are. Eyes: The eyes of an individual with Down syndrome might slant upwards a little bit and are almond shaped. They might have small folds of skin at the inner corners, which are called Epicanthal Folds. 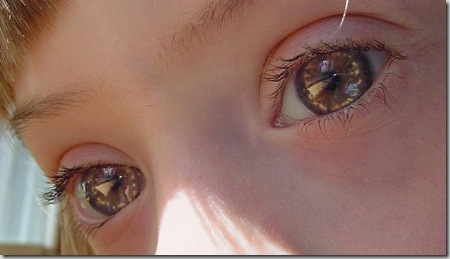 The outer part of the iris might have light spots that are called Brushfield spots as shown in the picture bellow. Nose:The bridge of the nose is smaller than usual, giving the impression of a button nose. This sometimes gives the appearance of a slightly broader nose. Ears: The ears in individuals with Down syndrome can be smaller and the tops may slightly fold over. The ears set slightly lower on the head. Neck:Some individuals with Down syndrome (like my daughter) have a “thicker” neck, or what appears to be an excess of skin on the neck. This is one of the markers for Down syndrome that can be detected in an ultrasound. Flat Profile: Individuals with Down syndrome tend to have a “flatter” profile. This is due in part to the small bridge of the nose, but also the forehead tends to be flatter. Mouth: The mouth and tongue are made up of many muscles. Individuals with Down syndrome have low muscle tone, and therefore, the muscles in the mouth and tongue might be weaker. Contrary to what was believed before, the tongue is not bigger than normal. When the tongue is sticking out, it is a matter of low muscle tone and it can be worked on through oral exercises and speech therapy. The muscles surrounding the mouth are also weaker and some individuals with Down syndrome appear to have an upside down smile (a frown.) As you can see in Nichole’s picture bellow, she seems to be sad, when in reality that is her “resting” pose. Teeth:Teeth may come in late and in an unusual order. For example, Nichole got her bottom 2 teeth first, followed by a random order (her molars came in before her two top teeth.) For some individuals their teeth might be small, unusually shaped, or out of place. Nichole, for example, has a tooth out of place, it sits way back behind the others. You can see that in the picture bellow, your left hand side between the front tooth and the canine tooth. Hands: Individuals with Down syndrome tend to have shorter and chubbier fingers. Some individuals with Down syndrome have just one crease across their palm, called the transverse palmar crease. Sometimes, the pinkie finger appears to be crooked. (Random fact, my daughter has the short chubby fingers and crooked pinky, but she does not have the single palmar crease. I have crooked pinkies too). Feet: There may be a gap between the big toe and the rest of the toes. There might also be a deep crease on the sole of the foot where the gap is. Low Muscle Tone: One of the most significant characteristics of Down syndrome is low muscle tone (discussed briefly as we talked about the mouth and tongue) or Hypotonia. Low muscle tone affects all the muscles in the body. A baby, for example, may appear “floppy.” It affects movement, strength, speech, and development. It cannot be cured, however, there are many therapies available to help individuals with Down syndrome improve their muscle tone, such as Speech Therapy, Physical Therapy, and Occupational Therapy. Hair: Some individuals have thin and straight hair. However, as you can see bellow, when my daughter was younger she had a head full of beautiful curls. Her hair is now long, and while it is not as curly, she still has some curl to her hair, especially when it is humid! Not all individuals with Down syndrome exhibit all of these characteristics. Some individuals have more traits consistent with Down syndrome than others. 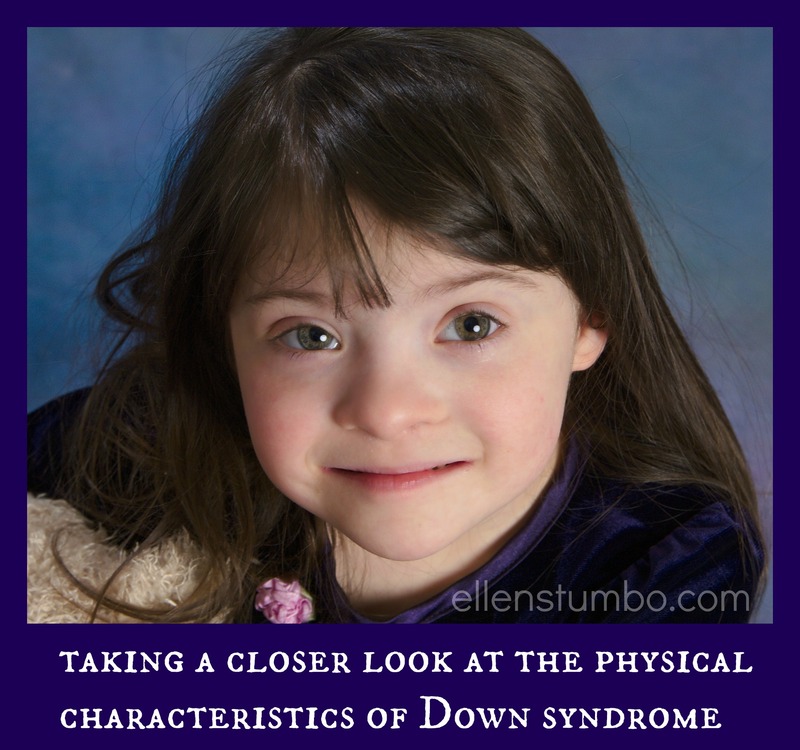 It is also good to point out that physical appearance (how many physical characteristics of Down syndrome an individual has) does not determine cognitive ability. And remember, individuals with Down syndrome resemble their families more than they resemble one another. After all, 46 of their chromosomes are perfectly normal. Special Needs Parents, Are You Surviving? I created a guide with 13 practical ways to help you find peace in the midst of chaos, opt in to make sure you get a copy of this freebie! BEAUTIFUL photos of precious children. My son has a similar syndrome (well similar characteristics) called Prader-Willi Syndrome. He is such a blessing! Wow, your daughter is absolutely gorgeous! That is the most beautiful precious little girl I’ve ever seen, what a doll :). This is great information for those of us who do not have experience with people affected by Down Syndrome. So much information that was ‘commonly known’ is now outdated and this helps us understand. Shelly, yes, there is a lot of outdated information. I am a part of the International Down Syndrome Coalition, and this is what drives us. Information matters! 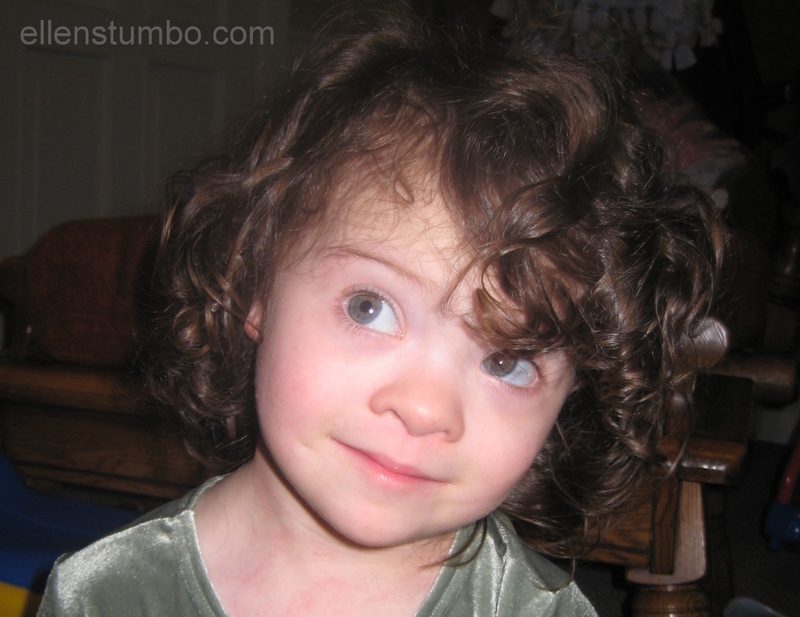 Check out the post I have with 31 facts about Down syndrome! Wow, what a super and informative article. All the children pictured are so adorable, and you can just tell how much fun they must be, and how much love they have surrounding them. For what must seem like a rocky road at times, you are so lucky! Beautiful kids, and fascinating info presented so positively – love it! When I was pregnant I was offered CVS so I could have the option to abort a potential DS foetus. As an older mother I had a 1 in 6 chance of having a Down syndrome baby. I am horrified by the extremely ignorant prejudice I had about DS people. Your posts have opened my eyes. I am so grateful – thank you. Wonderful and beautifully stated. My son has down syndrome and I wouldn’t trade him for anything. His presence makes our life so filled with love and joy … My son also has autism and is extremely sensitive to heat and son but he has very few health issues…praise our powerful and wonderful god for giving us our precious and awesome little man. You have a beautiful daughter, thank you for sharing her with us. I heard some people with DS have more flexible joints than people without it. Have you heard of this Ellen? You daughter looks like you and is adorable! M yes, I think it goes hand in hand with the low muscle tone, but yest it is pretty common and now that you mention it, I don;t see it mentioned very much at all, thanks for pointing that out! 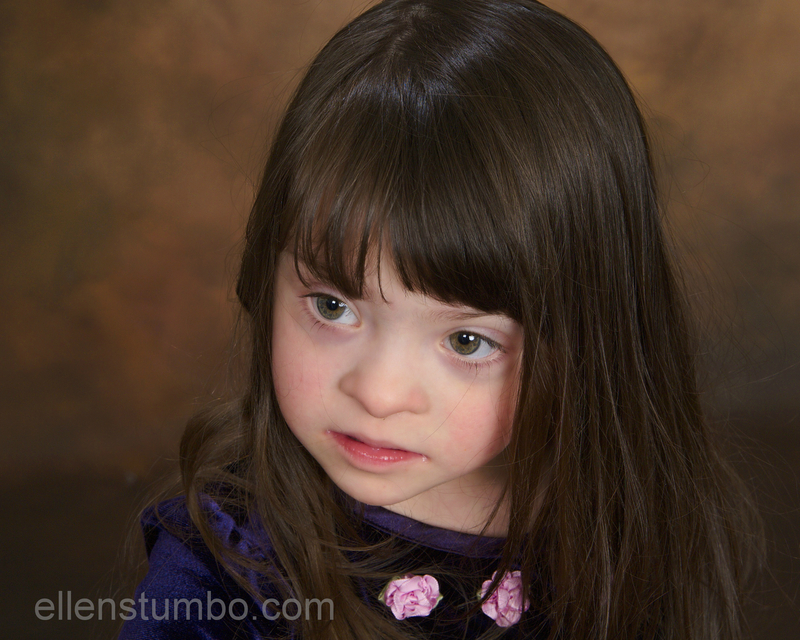 Yes, if she has mosaic Down syndrome it is possible.